After every school day, when my ten-year old son comes home from school, I greet him with a chirpy, “How was school today?” He smilingly greets me back with a kiss, “It was ok,” he cheerfully answers. Then I reply with something like, “Have something to eat, rest a bit, then we’ll study.” And just like that, as if on cue, a monster of a wail is heard within the walls of our entire house. The message is clear: I’m not in the mood to study. Rewind, playback. This scene is all too familiar for most moms or dads who take on the tutor role for their child. The Pout makes a special appearance when it’s study time. It has always been a struggle between my son and me to go through our daily task of studying for quizzes, answering homework, and doing projects, and to finish it without resorting to what is seemingly like the makings of the next civil war. Sometimes, we’d finish late at night, which would mean that going to school wide awake the next day would be a struggle. Admittedly, my patience for tutoring my youngest is more finite now compared to then when I taught my two other older sons in their younger years. But hey, if you’ve been tutoring for the past 15 years, you’re entitled to get cranky during study time too, right? Well, right or wrong, the fact is study time had become a point of conflict between the two of us, and we both weren’t happy about that. 1. Room color affects your mood. Interior design books always discuss how there is a direct correlation between colors and moods, and the color of one’s room is no exception. One can’t undervalue the importance of choosing the right color scheme to have a more conducive place to study. For example, green walls make for a restful place and a calm green pastel may be good to quiet down a kid and get him into a study mode. For our part, we opted to color the kids’ room in neutral tones of beiges and off-whites, which the kids found very comfortable. 2. Proper lighting is equally important. 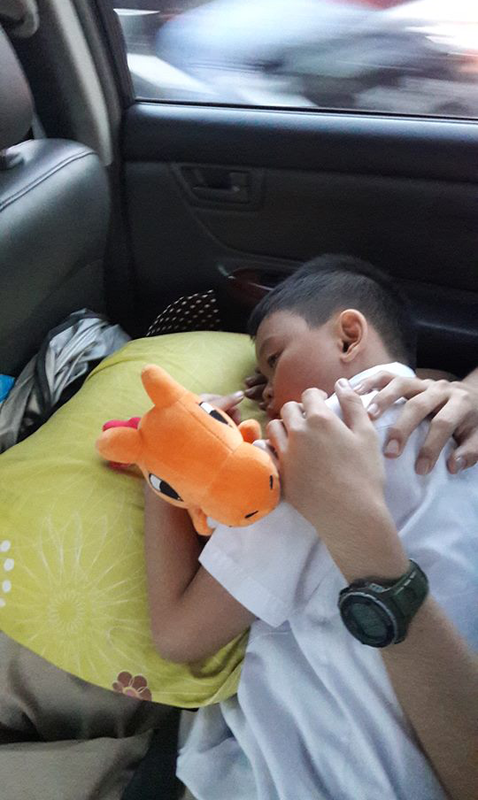 My eldest son kept on wondering why he felt sleepy when reading in at the study table in his room. On closer inspection, we realized that the room didn’t have ample lighting, which contributed to his feeling of being lulled to sleep. We made provisions and added more pin lights, and lo and behold…we finally saw the light! No more drowsy spells. 3. Provide your child with a ‘study headquarters’. If Batman has a bat cave, by all means give your kid a study cave. When we were filling up my son’s information sheet for his new school, we got stumped with this question. “Does your child have an appropriate, properly lighted and organized study area in your house?” or something to that effect. 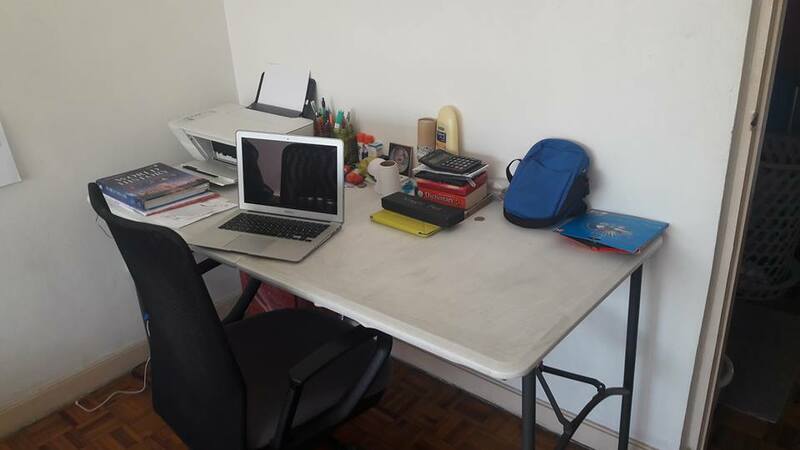 A study headquarters is an important prerequisite for a more productive study period because once your child goes to his study area, he would have already psyched himself up for study time and is therefore more prepared to focus. It is of course par for the course that any presence of a gadget on his study cave should only be for the purpose of research or as a study tool. Not exactly the most organized study table, but it helps to have a properly designated study area. Yes, distractions can be a good thing. It keeps the study session from getting boring, and serves as a bridge when assignments are especially tedious and lengthy. My son loves to hang out in the nipa huts scattered around our village park, and in one particular moody afternoon that he was having, he wanted to go to the park but had yet to finish his school work. Problem, right? Later on, I realized that the whining to go to the park was actually a solution. 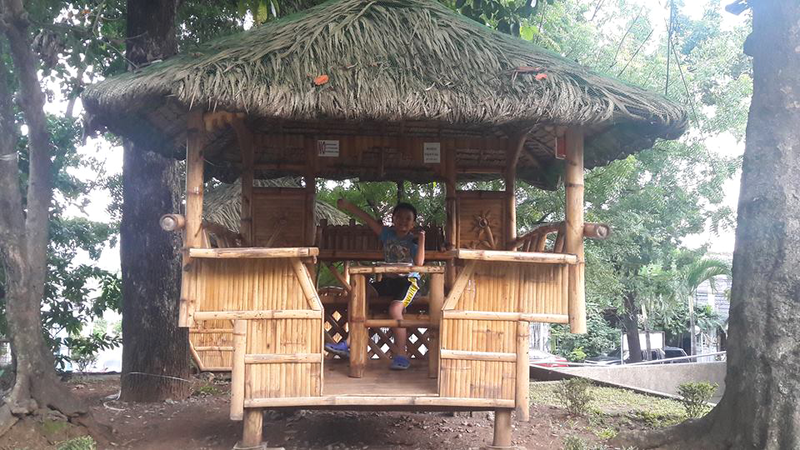 We headed off to the park, brought along his school stuff, and spent the rest of our tutor period studying inside the nipa hut. Cool! Some kids also concentrate better with relaxing music playing in the background. Easy, play some music. 5. When you talk about studying, use the right tone. I belatedly noticed that since our study time was becoming stressful for me, I’d usually summon my stern mommy voice when it was study time, thinking that this will get the message across quicker. Rather than helping, the result was counterproductive. 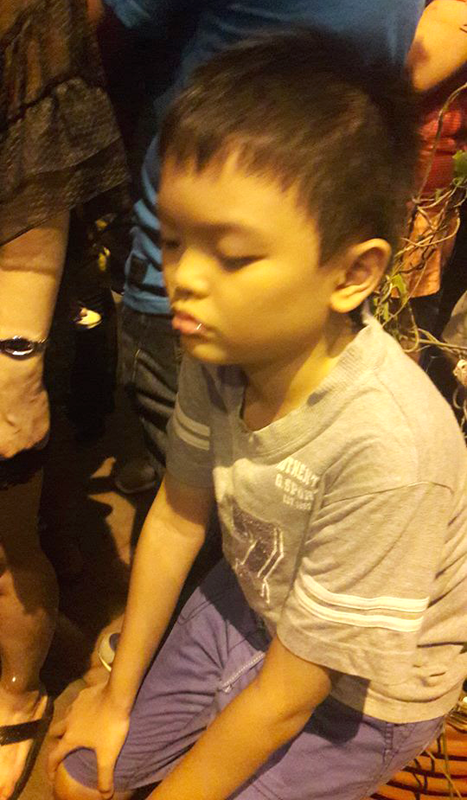 My son started feeling the stress in my voice, and would automatically proceed to grumpy mode. I made the necessary adjustments, started sounding more cheerful about the whole thing, and he started responding positively as well. No more grouchy face, his and mine. There are more ways that we could help our children develop a love and habit for studying. But first, we also have to explore what works for them. Once a child’s study area is established, the learning process will be much easier.